Coffee tables, console tables and nests of tables, all made to just the size you need and featuring original painted panels and contrasting inlay. 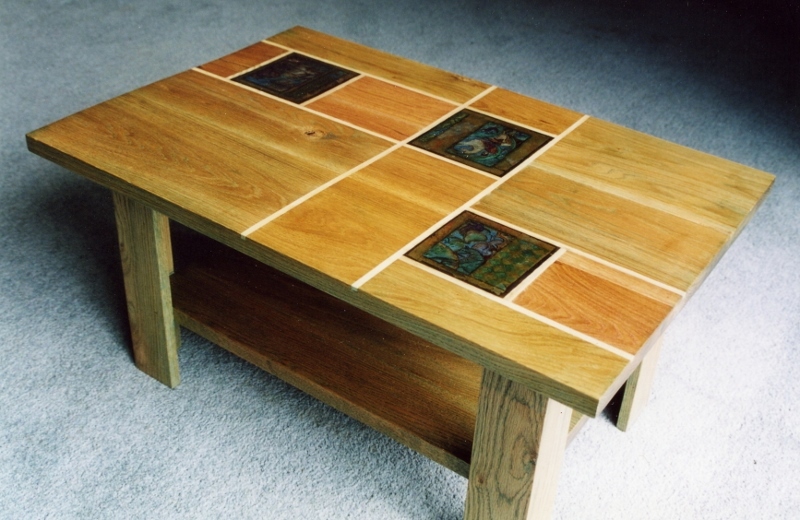 Each table top is a composition, a work of art in itself. In these examples, both in oak and maple, the one on the left featured paintings inspired by the art of ancient Persia; the ones on the right used aborinal Australian art as their starting point. 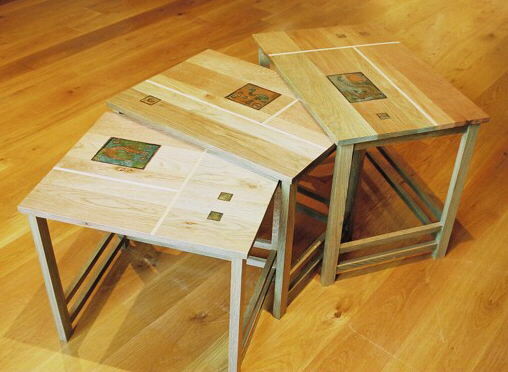 Tables cost from around £350, depending on size. Nests cost about the same per table.